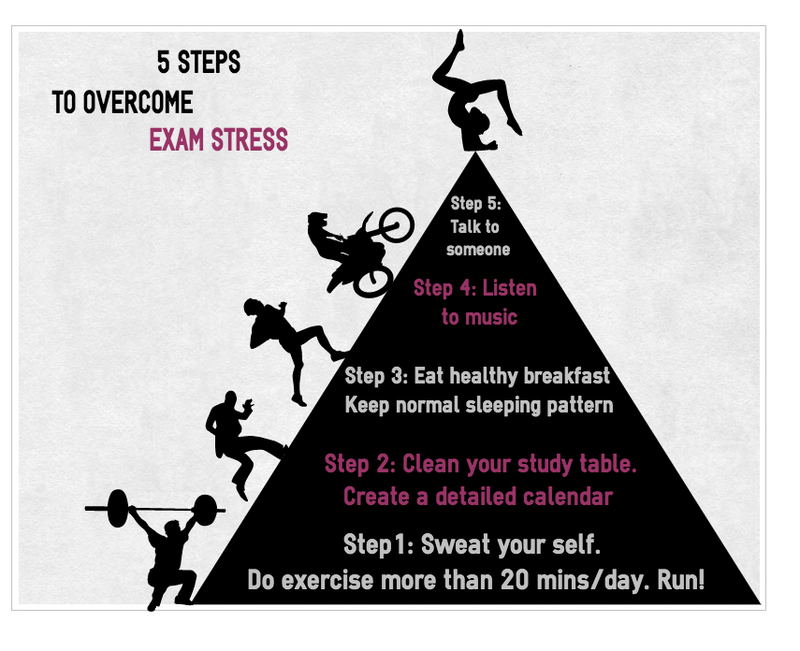 Are you suffering from Exam Stress? Let’s understand in detail what is exam stress and how to overcome exam stress? ” Exams” are the scariest thing for children. It is the biggest monster who follow kids for 12-15yrs. It come in intervals and is roughest part of kids life. As the exam approaches you can see drastic difference in kids and environment at home. No playing, no watching T.V, no music, no stories. For some it has to be forced and others do it willingly. All kids become extra obedient and sincere against studies. At this young age they are burdened and pressurized. For this many schools organizes seminars and talk shows on tips to deal with exam stress, coping with exams, Beating exam stress, Stress management etc. For few exams are casual but for others it was be hilarious to the extent that they start bed wetting and also fall sick. So when exam is closing the duty of kids increases towards studies and at the same time responsibility of parents increases towards children as they are to be taken extra care of. I would like to request all parents to let their kids study in their comfort zone. It’s important to study but not just to score highest in batch. So parents should make their kids understand importance of education to be qualified and not just score good to get a good job. I am sure we all teach our children different ways to study depending on the weakness of the child. If child is a slow writer we make sure that he writes and learns simultaneously and vice versa. If your child has a weak memory you try to repeat one topic many a times. If you feel your child is weak in tables you make sure before going to bed he recites all the tables. As a parents only making your child study best is not enough. The major role plays by the co factors around them i.e their food, sleep, confidence, interest and atmosphere of the house. Don’t heat up the house with demands to score highest or to beat the other children and top the class or neither compare your children. Get enough sleep: Brain needs some rest. Do not burden it with so much information that it cannot relist them during exams. At least 8-10hrs of sleep is compulsory. To get enough sleep make sure you keep yourself prepared for exams and then you just have to brush up your syllabus during exams. It becomes easier for you to study also as you can emphasis on difficult topics. Stay Nutrified: Make sure you do not skip your breakfast on exam day. 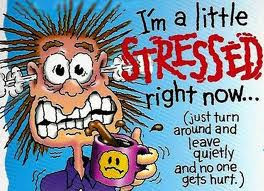 Your body is working almost 24*7 with stress build up. So fuel your body after a long fast of 10hrs. Eat fresh fruits and veggies. Stay away from over processed, preserved, packaged foods, junk and outside uncovered foods. Eating health food will help your brain to reciprocate all the information which is been fed. So treat your brain like the most important asset and it will give you all information you need. Apart from sleep and nutrition other tips would be to stay hydrated, take breaks in between your chapters, be positive in whatever you are studying, do not feel depressed, if you are too much stressed talk to someone around and feel relaxed, Listen to music which makes you feel lighter, go for a walk in between. Studying in groups or with friends is also an excellent idea. it also reduces stress and at the same time the quality of study increases. Exams are getting difficult day by and along with that the level of studies is rising making it difficult for kid sto enjoy their childhood. A child is 2.5yrs when he/she starts schooling and from that age till 21 yrs he is just spending half a day with books. Give some leisure time to your children so that they have some fun filled memories which they can enjoy with their kids. Keep a line between studies and other activities. Don’t over do any off them. Teach you children how to schedule their day so that it would be easy for them to manage their busy day with studies and fun. Teach them new techniques to learn and write. Talk to their respective teachers and take their help to make you child a brilliant student. Are you Tired or having Stress during Exams? Know your Child: Every student is altogether different. So do not compare them. If you are a parent of a pre-schooler then make sure you do not scare your baby with exam and teachers. Make a habit to them to talk to teachers freely and also to clear their doubt with the teachers. Make them understand that teacher is to teach and not to harm them if they behave nicely. Students who are comfortable with theirs teachers are the students who do excellent in their study for a simple reason that they are stress free and they communicate their problem with the teachers. I as a child was very afraid of my teacher because I was a very talkative child. So for me teachers were cruel because they didn’t allow us to talk. But then as I grew up I understood that I was being scold for wrong behaviour and if that behavior is discontinued my teacher will be no longer a cruel woman. So let your kids realize this and let them develop that confidence to talk to their teachers themselves rather than enrolling them for a highly paid tution classes. Tutions are additional stress for your kids. So spend that extra money and time on your kids development and learning skills. Today we have coaching for all possible things so it’s easier for parents to enrol their children in such coaching classes and be satisfied. But please make sure the coaching which you are giving to your child, is he/she really enjoying it. If studies are done in a fun way child will take it as fun learning experience and enjoy it rather than crib about it. Find out different ways in which you can teach your child a healthy way of learning.